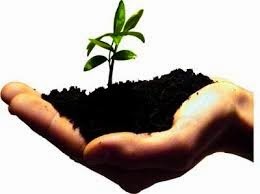 A recent article on Victraders proposing an "Incubation Market" that would allow traders to trial new product ideas. With traders restricted to selling "approved products" at their stalls this proposal would provide a simple format for traders to test new ideas at a special market stall and perhaps discover some exciting new businesses. The struggle for small retailers is no stranger to QVM Traders and it is interesting to see what is being done in other key retail areas to help alleviate the problem. The struggles of licensed post offices and community postal agencies have been well documented as income streams change dramatically for that sector. Digital communication has replaced traditional mail while parcel traffic has skyrocketed. 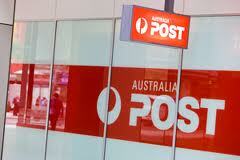 A Senate inquiry in 2014 declared that Australia Post needed to compensate franchisees for the failure of the mail agency’s franchise network. As a result, Australia Post will increase the minimum annual payment to more than 500 licensed post offices from $20,000 to $30,000 and introduce a $7,500 payment for some 500 community postal agencies. It will also increase payments for handling parcels. This follows a complete review of the costs associated with running post offices and the payments necessary to ensure a fair return for operating the businesses. The measures have been generally well received with a warning that much more needs to be done to sustain a viable postal delivery network into the future. 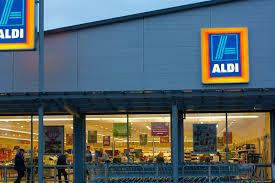 Aldi have identified that only 30% of their customers could be described as low income and the percentage of high income customers is growing. Aldi focus on smaller stores than their competitors, fewer products and private labels. The smaller store-print enables them to access prime locations that the big boys can’t get to. Their philosophy has been successful with Aldi now the third largest food retailer in Australia. The new trial stores (one in each of Qld, NSW, ACT and Vic) are to be larger, offer more fresh food, and include premium brands. It will be an interesting exercise as Aldi creep into the realm of the bigger operators and away from the philosophy that has been so successful for them. A recent survey of successful high level entrepreneurs concluded that risk-taking was a prime ingredient of successful business ventures. Aldi will be hoping they have got this one right. This is an unusual story and perhaps a lesson for traders who might be caught in the same predicament. Our trader received a penalty for failing to cancel his stall on a Tuesday. We are not exactly sure what the penalty was but traders will be aware that they need to advise the office of a single day absence by close of business on the day before. The dilemma for this trader was that he actually traded on the day in question but he was having difficulty proving it. The office were emphatic that he had been marked as absent by Stall Controllers and he would need to prove that he traded at his stall on that day. That should be easy shouldn't it? Well, in his case he didn't have an EFTPOS machine or a car park voucher and when we last left this story he was madly trying to find some location evidence on his mobile phone that he was actually located at QVM through the day. We are confident this can be sorted out. Either the Trader's memory is failing or the Stall Controller ticked the wrong stall on his list. But perhaps we can add these circumstances to the list of things we take for granted, but may trip us up. In response to a number of requests from traders we are pleased to advise that Joe is alive and well, currently resident in Thailand, and hoping to return to our shores before too long. Joe has become renowned around the market for the various services he provides including storage box movement, stall set-ups, and even acting as a model for one of our traders sales brochures. His knowledge, work ethic, and friendly demeanour are being missed. According to trader Mino, who visited Thailand recently, you should keep Joe in mind as a holiday guide in that beautiful country - at least until he is back here contributing to QVM. Here is a link to a video that may just encourage that connection. The recent 1-2-1 trader meetings gathered information on a variety of subjects and the question of why traders chose QVM produced some interesting results. Traders were asked how they came to trade at Queen Victoria Market, why they continue to trade here, and what they think is special about QVM. The answers were varied but QVM’s role as a tourist destination was the most frequent response to “Why do you trade at QVM?” Traders valued the steady flow of customers that the site attracts. They also talked about the sense of community and multiculturalism, the lifestyle, the heritage of QVM, their family connections at the market, and the CBD location. Traders enjoy the atmosphere of the market, the crowds, the hustle and bustle, and took pride in the hands-on personal touch with customers. They like the flexibility of hours to enable things like picking up children after school and, for manufacturers, the opportunity to combine making and retailing. The blending of so many cultures and ethnicities was fondly described and older traders talked about the opportunity to continue a fulfilling business activity. A number of traders chose QVM over all other markets. A 67 page review of the 1-2-1 meetings is about to be published and we will endeavour to cover various aspects of trader input over coming weeks. Customers are a trader’s lifeblood. They not only finance our involvement in the precarious world of retailing but they stimulate us every day with their requests, challenges, chit chat, and general interaction. They stir the blood, frustrate, and please with delicious uncertainty. When a customer walks into your stall you never quite know how the adventure is going to play out. Famous customers add a new level of involvement and Richard Pratt was a welcome visitor to my stall on a number of occasions. Mr Pratt (I always called him that) was a prominent Australian businessman, head of Visy Industries, and noted for a colourful and sometimes controversial history in business and Melbourne society. In the year before his death in 2009, he was declared Australia's fourth richest person, with a personal fortune of over $5 billion. 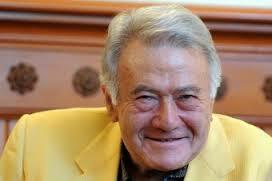 All that wealth belied a very personable man, at least in my experience. He was friendly, and patient, yet focused on what he wanted. I sell model ships and boats. He would walk into my stall and quickly issue a greeting. Not for him the lengthy period of browsing, and product examination. He came straight to the point. He was usually buying a gift for a friend or business associate and would give me a ballpark figure on what he wanted to spend. He would ask me what my best choices would be in that price range and listen patiently as I identified three or four products that might suit his needs. He would quickly make a decision, invariably choosing the product I identified as best value. While I prepared his purchase we would chat casually about retailing conditions, or football (Pratt was Chairman of the Carlton Football Club). I can remember always feeling a sense of satisfaction after dealing with Mr Pratt and was often left wondering why others could not display the same sense of respect and civility. Not all our customers are going to be famous but in the rich tapestry of life at The Queen Victoria Market every day creates many opportunities to show respect and be respected. Customers are indeed our lifeblood and creating productive relationships can be good for the soul as well as the hip pocket. You may have heard about the departure of the Sushi fast food shop at the top of F Shed. Rumour has it that another high profile food operator at the Peel St. end is leaving as well. If you believe all the hype in the press, fast food is the darling of retailing as shopping centres across the globe push for more food operators in their shop mix and, QVM have made it clear that this is their plan as well. Food has been growing in importance over recent decades as consumers embrace the convenience and lifestyle of eating out. Apparently at least some operators in F shed are not part of the boom and we need to ask why. Much has been done to improve the amenity of F shed with dedicated seating areas being introduced along the aisle. Customers can now sit in a more relaxed environment as they take a break from their shopping. Weather proofing remains an issue for F Shed (as it does for the A Shed laneway) and hopefully that will be a priority for the renewal team and one of their first projects later this year. Like any retailing issue there are many factors involved here and we can’t help but think that trading hours is one of them. How many Melbourne cafes can survive on a 6 or 7 hour trading day? Long hours are the norm in fast food and, while our normal market hours are certainly restrictive, F Shed’s proximity to Peel St. and, its more public exposure, may give it opportunities for expanded operation. As our heading suggests, F Shed requires focus. It will be interesting to see how QVM handles this issue as possibly one of the first renewal projects. 24/05/2015 19:25:14 Sushi closure "Don't you think the closure of the sushi shop is a sign of what is coming around the corner for a lot of us? Do we jump from the sinking ship or try and find a way to swim? QVM management has made it very clear that solutions are something that we have to come up with until the renewal is complete. I honestly think most business owners can't afford to sit and wait for the renewal to have a positive impact. More shops will close and good businesses will leave." Thanks for your input- Ed. 02/06/2015 22:57:45 F Shed Requires Focus "F Shed traders, like the general merchandise stalls, do not enjoy 6 or 7 hours of viable trading on ANY day. On a good day, at best, 4 or 5 hours more accurately describes the trading window. F Shed needs more people walking its length, not more competing food outlets popping up throughout the market.. Food outlets do not bring traffic. They cater to existing traffic. 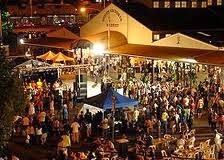 No one goes to a shopping mall for the food court - they use the food court while shopping at the venue, And every time, EVERY time, management runs a food themed event in the Queen Street precinct, the F Shed traders suffer. 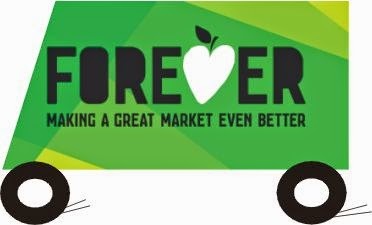 These food events happen with regularity, They take trade from the F Shed food outlets - EVERY time - and this lost trade is NEVER made up. F Shed requires traffic . F Shed does not require more food themed events at the Queen Street end." Thanks for your input - Ed. 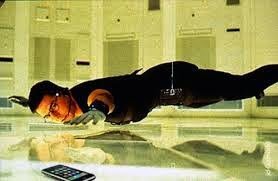 One of our traders has a history of losing mobile phones and these days that can be an expensive loss. On at least one occasion the phone was stolen from her stall. On this occasion she was frantically looking for her $800 plus phone and getting more agitated by the minute when a neighbouring trader piped up that she had seen the phone lying unattended on the stall while our trader was distracted by customers, and had taken it for safe keeping. The neighbour also admitted that the opportunity to teach her friend a lesson could not be missed. A few expletives and a general air of relief followed. The lesson here is that we can very vulnerable to theft and some simple precautions are worthwhile. In this case the trader agreed that a handbag over her shoulder to safeguard her mobile and cash would be a good idea. 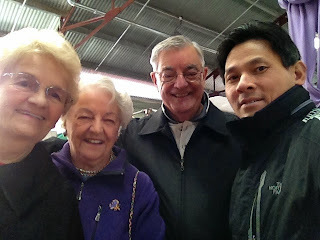 Customer Don is seen here with trader Kha during a visit to our market this week. Don comes from Melbourne but is currently living in Canada and he has returned for a surprise visit to his brother’s 90+ birthday. Don has a special reason for loving our market because one of his relatives is buried here. Just one of the many reasons why customers feel an attachment to QVM. Thanks to Kha for this story. Retail recession has brought with it some difficult times but also some great opportunities. It could be said that there is no better time to leave your mark on the playing field of new consumerism. A U.S. college student who didn't have what it takes to join the school teams in high profile sports like baseball and football, found an interesting way to carve his influence. He helped form the college's first lacrosse team. He figured nobody else knew much about that sport either and if he worked hard he would have an equal chance of excelling. Biz Stone became captain of the lacrosse team and later went on to co-found Twitter. There are ways of fostering entrepreneurial creativity and we think QVM Management could help here. We suspect that some of the best ideas might come from current traders - traders who who have on the ground market experience, know how to present products, and know how to appeal to customers.A trader recently commented that he had a few new trading ideas but they were not allied to his current approved selling category so it was difficult to get a customer response. He felt that an opportunity to trial his concept at a place like QVM would quickly let him know if the idea was worth pursuing. What if QVM created an incubation market? Traders could set up a small stall in a designated area and see what response they got. They wouldn’t need more than two or three weeks to test the reaction and decide if a formal approach could be made to QVM for a new business. QVM would need to waver all those formal applications processes for this initial 2 or 3 weeks– this is just about testing customer reaction. But the possibility of finding some new gems seems irresistible. Is this something you would like to take advantage of? If so, let us know and we will see if we can take this matter further. 26/05/2015 18:11:22 re Incubating businesses and ideas. "I feel very worried that there are many large chains and businesses waiting for the development to proceed to get involved... I see signs of the power of big business and money already. I think this is as big a threat as any faced by small micro businesses in this redevelopment plan... and I don't hear it being talked about." 1. Cadbury cuts 80 jobs at its Hobart factory. 2. Consumers say accurate labelling on fresh food now more important. 3. More Victorians buy seafood from a market than in other states. 4. Oroton cuts earnings forecast after end to discounting. 5. Coles strategy to include more own brand and click ‘n’ collect online. 6. Degani coffee chain opens first store in Brisbane. 8. Mother’s Day created best fashion boost in years. Domino's customers are already able to track their pizza through the cooking stage but soon they will be able to GPS track the actual delivery and even find out some basic information about their delivery driver as well. One of the biggest frustrations for QVM Traders is not knowing when important components of renewal will be detailed, analysed, and then delivered. Of course the impact of renewal on "modest & fragile" small businesses at QVM is a lot more complex than pizza delivery, but you get my point. At a recent QVMAC meeting one Trader Representative gave the example of the rumours surrounding H & I sheds - the impact of possible moves on traders, not only current traders in H & I sheds, but perhaps some traders in the Dairy Hall moving to a new food location. These are serious considerations and the concerns are understandable. Another area of concern is the use of J,K, & L sheds as events space. There is a lot of uncertainty about how that could be delivered. It may help us to understand why some traders felt it necessary to hold a traders meeting a couple of weeks ago which, in the end, went over the same old ground. According to some attendees the meeting achieved little, simply because some concerns cannot be answered until detail is available. That same frustration is probably also held by QVM Management. QVM Renewal is a huge exciting project and there are many people keen to start the ball rolling. The Draft Master Plan is about to be put before Council and will hopefully receive final approval by August. That Master Plan will set the overall direction for renewal. Then the real detail discussion starts, traders will have their input on more specific proposals, and we will head towards delivery. So, keeping with the pizza analogy, here is an order that traders might place - "I'll have my renewal well cooked please, with easily digestible ingredients, and a taste that will knock the socks off all my customers. And let's get that delivery on the road as soon as possible." 22/05/2015 18:18:42 Renewal "I just don't get it ... How are we suppose to discuss the master plan after its release. I would think the deal is done and its just how best to implement the changes with the help of the on ground people aka stall holders . We have had endless meetings about our feelings and most believe we are just been given lip service. I hope I'm wrong cause I love every dirty bit of our beloved Queen Victoria Market." The "Have Your Say" facility is an important ingredient of this website as we encourage traders to share their views on a variety of topics. Most article have a "Have Your Say" facility at the end of the article and you can always click on the "Have Your Say" tab at the top of any page. Ninety-nine percent of all comments get published (a very small number don't pass our standards perhaps because they are abusive or even defamatory) but sometimes traders say they would like to comment on issues without necessarily having their comments published. Well, now you can do that. The "Have Your Say " page now allows you to tick a box that activates the no-publishing option (see below). We welcome any feedback on how Victraders.com can be more useful for traders. Consumer confidence figures are normally buried in our Latest Retail News posts but the response to the recent Federal Budget was so good we decided to shout out the result. Consumer confidence rose by 3.6% last week in the biggest result since last November. Economic commentators are suggesting that the Federal Budget's good news content has been well received by consumers across Australia. 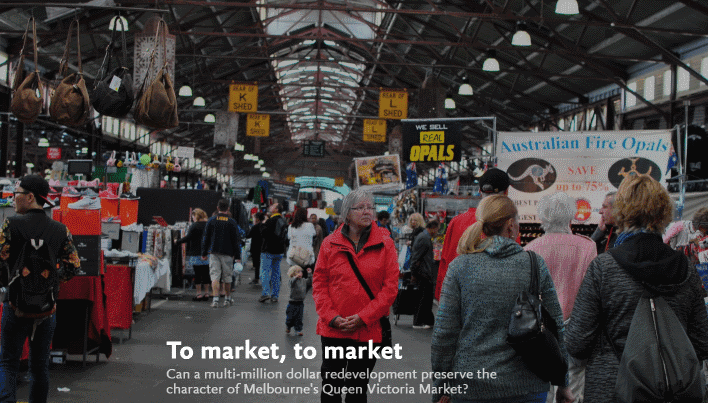 Kimberley Thomson is a journalism student at Latrobe University and she has completed a multimedia story on Queen Victoria Market, discussing the history and culture of the market, and explaining the renewal project. She has posted an interesting word picture of the market and added sound and pictures as part of the presentation. Kimberley was keen to get a trader perspective on the market and we were pleased that she contacted Victraders.com. 1. Colgate/Palmolive sells its laundry brands to German based manufacturer. 2. Research suggests “weekly shop” has now become “thrice weekly shop”. 3. Woolworths invests in Australian beauty e-tailer, Adore. 4. Westfield to move its headquarters offshore. 5. Officeworks sells off its Harris Technology business. 6. Nespresso to test more permanent store locations with pop-ups. 7. Canadian luxury retailer to open first Kit & Ace fashion store in Prahran. 8. Westfield announces increased specialty store sales across global operations. 9. Myer says store refurbishments and online boost sales. 10. New Joggers World store model reports improved sales. 11. Super Retail Group plans store revamp for Ray’s Outdoors to address flagging sales. 12. McDonald’s global sales decrease despite strong result in Australia. 13. March retail sales show softer momentum. 14. Williams-Sonoma plans six new stores in Australia. 15. Gloria Jean’s coffee to expand into Hawaii. 16. Research suggests catalogues still popular with consumers. 17. G-Star Raw future in Australia secured with new deal. 18. Cotton On expects to double presence of its Supre brand in Australia. 19. Pumpkin Patch and Suzanne Grae top customer satisfaction survey. 20. Coles and Bunnings lift sales for Wesfarmers. Do QVM Traders Have The Right Business Culture? The ingredients of an effective "business culture" could be endlessly debated but I am going to select my own experience and then identify some of the weaknesses I see in current trader culture. 1. Thing big - don't let small thinking restrict your opportunities. When I selected my first shop location I was tempted to go for a comparative back-water with cheaper rent so I could hone my skills without the threat of high overheads. My mentor convinced me to go for a mainstream shop location. 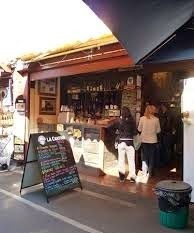 At that time it was Chapel St. Prahran (how things have changed) and that was a great decision. You need to give your idea every chance of success. 2. Be fiercely independent - that might sound a little contradictory coming from a mentor but I guess he was saying - take responsibility and make your own choices. Making your own choices and taking control over your destiny is scary but incredibly empowering. It is true that you can't always do everything you would like to do, we don't live in a cocoon, but testing the boundaries and finding a way through can be very productive. Independence is sometimes described as the essence of small business entrepreneurship. 3. Respect those around you - in retailing we have relationships with a whole range of people - customers, fellow traders, landlords, bureaucracies, and the list goes on. Respecting their rights is crucial if we want to maintain productive relationships. Customers are number one on our priority list but even landlords have a right to make a profit. 4. Embrace change - recent experience shows us that this is absolutely essential. The rate of change in retailing, especially since the global financial crisis, has been incredible. Being flexible, adjusting to new situations, and constantly looking for solutions, is all part of modern retailing. I am sure there are many other special aspects to business culture and I'll let you fill in the gaps. In the meantime here is my shortlist of advice. 1. Be independent - Blaming others for our retail woes has little value. It is our destiny that we control and our individual actions that will ensure prosperity. 2. Embrace change - retailing is going through a revolution as customer attitudes and actions turn our traditional way of shopping upside down. Clinging on to the past has little relevance here. Fortunately there are many ways of discovering and experimenting with new ideas. 3. Respect - change and uncertainty bring friction with those around us. Essentially we are all looking for the same things and respect helps put us on the same journey. I have been fortunate. I am heading towards the end of my retailing career at QVM and I have reaped many rewards. I have experienced the highs and lows and I can assure you that the current low will be followed by a high. Current retailing conditions will test your business culture but isn't that the true nature of entrepreneurship? No, this is not some call to arms or a complaint about trader neglect but it certainly involves a high level of recognition. It is time for traders to apply for recognition in the Lord Mayor’s Commendations Awards for 2016. The Lord Mayor’s Commendations are a great way for traders to establish their contribution to our great market, and a great city, in a more formal and lasting way. It doesn’t require a lot of preparation or effort and the “feel good” benefits are well worth it. Recent QVM recipients include Wayne Chitty, Maggie Korda, John Rosenberg, John Pontelandolfo, Greg & Sue Smith, Kevin & Annette Stanisich, John Magno, Carl Greco, the Pham family, Bill Tzimas and Xenia Charalambous. It should be noted that business partners can receive recognition, as well as registered stall holders. Applications can be made online here - http://www.melbourne.vic.gov.au/enterprisemelbourne/BusinessSupport/lmcommendations/Pages/Applications.aspx or contact Greg Smith on 0406 222 020. Applications close on Friday 22nd May. An opportunity to link direct with Chinese manufacturers comes to Sydney 25th-26th May. 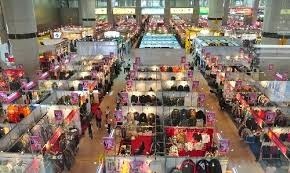 Exhibitors from Huizhou, which is just outside Guangzhou in Guandong Province, will showcase the latest products from China in consumer electronics to homewares, lighting, fashion, footwear, kitchen, textiles, lifestyle and office supplies. The expo is free to enter and is directed at Australian businesses already doing business or planning to do business in China. EDITORIAL - Last year’s Federal Budget was a patch-up that confused and divided, judging by the number of measures that failed to get through the Senate. This year’s Budget is different. It is a more blatant political exercise, designed to stimulate an important part of our economy (small business) and prepare the Coalition for an election mid next year. It will be difficult for the Opposition to challenge the Small Business components of the Budget because many of the ingredients have come from their own policy book. The tax incentives for Small Business are great. They have been described as “unprecedented in scale and generosity“. But when businesses are struggling to make the profits that are needed to make those tax incentives relevant, it is consumer confidence and a lift in retail sales that really count. That may happen, depending on the public response to the budget measures - time will tell. We traders can rightly feel good about the budget measures and let's hope the broader public feel the same. Media reporting on City Council's recent Budget brought lots of attention to QVM renewal including this interesting graphic. This is the first time we have seen a professional rendition of how the car park converted to an open space might look. And before the cynics start saying "We told you there were plans" let's make it clear that this is probably just one of many graphical interpretations. We note that it does not include any changes to Munro's corner so it probably predates the Munro's purchase. In any case it is interesting to see one view of how the open space might look involving a mix of trees and marquee type constructions including what looks like a transparent canopy in the south western corner and, of course, the re-direction of Franklin St.
"This proposed amendment to the planning controls would change how the use and development of the Queen Victoria Market precinct can occur to enable the City of Melbourne to realise its vision for the precinct. 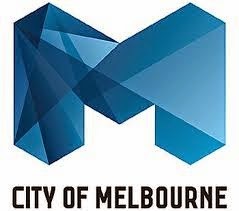 It will also allow Council to meet the obligations set out in our agreement with the State Government for the future development of those parts of the precinct owned or controlled by the City of Melbourne. Rezone the market site to Public Use Zone to reflect its on-going public use. As a registered heritage place, development of the site will continue to be subject to permits from Heritage Victoria. Rezone the new public open space proposed for part of the existing car park to Public Park and Recreation Zone. 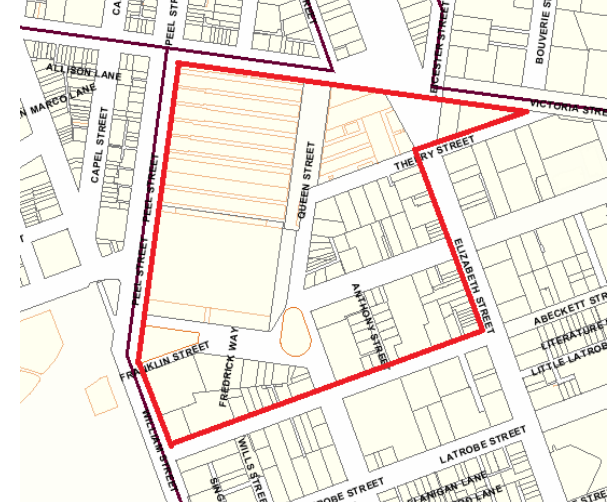 Include the land directly along the south of the market site in a Development Plan Overlay (DPO 10) that defines the allowed building envelope of street frontage heights and setbacks, and the wind and weather protection requirements of new development. The remainder of the area which is subject to Design and Development Overlay 14 (DDO14) will be provided with new built form controls to ensure that a pedestrian friendly public realm is maintained in the precinct that are generally similar to those in the DPO 10. If the Committee resolves to proceed with the amendment it will then go the Minister for Planning seeking his approval to exhibit the amendment for public consultation." We expect to find out more about the amendment before it is put up for public consultation. Back on 3rd May we published an article about the desirability of some sort of investment allowance for small business and Tuesday’s Federal Budget delivered an allowance that commentators have described as “unprecedented in scale and generosity“. The dominance of small businesses at QVM makes this a significant scheme for our market. - the allowance applies on purchases made after budget night and before June 30th 2017. - businesses must be actively trading to receive the concession – this has been taken to mean actively submitting Business Activity Statements so you will need an ABN. 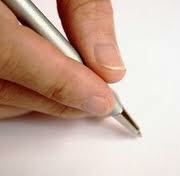 - any asset involved in running a business is covered by the scheme. This might include a vehicle, equipment, tools, computers etc. Other tax concessions for small business include a lowering of the tax rate for small businesses with turnover under $2m. The tax rate is lowered from 30% to 28.5%. Unincorporated businesses, such as sole traders, partnerships and trusts, will get a 5% tax discount up to $1000 per year. The budget also included measures to make it easier for start-ups to get their businesses organised. Unsure of the impact on your business? – we suggest you ask your accountant. As part of the Melbourne Food & Wine Festivals winter food promotion, a Town Roast event in June will highlight all that is good about local food, particularly roasting. Expressions of Interest are open to traders who would like to participate in the celebration of the humble roast on Sunday 21st June on Queen St. Our event will be themed to give a Victorian Country Fair look and feel, will incorporate regional wine tastings, have live entertainment, free market tours to visit traders selling local produce and pop-up promotional activity from growers associations and the like. An Expression of Interest form is available on the QVM website (http://www.qvm.com.au/the-town-roast/ ) and forms need to be in by 15th May (this Friday). Many fresh food traders at QVM start their day in the very early hours of the morning often with a trip to the wholesale market. But the Specialty Traders in the top-end have the luxury of more reasonable setting-up times, or at least most of them do. Draft Master Plan – Where From Here? The Draft Master Plan on QVM Renewal is expected to be presented “in committee” to the City of Melbourne in early June. The Plan will then be made available online for approximately 4 weeks for public review before receiving the final consideration from CoM possible late July or early August depending on meeting timetables. Once that process is complete, QVM can start detailed examination of projects and involve traders in that process. There will be many considerations at this time including – what projects come first? – what impact will those projects have on traders? – what impact will those projects have on customers? – how do we optimise customer expectations? – how do we minimise disruption? The QVMAC is currently looking at ways to best involve traders including the setting up of sub-committees that allow a greater number of interested traders to have input into projects that particularly affect their trading group. At first glance that might suggest that traders and the public were at odds over the importance of car parking and yet the question about access was always going to get a different response. Traders were asked what would make it easier for them to access the market. 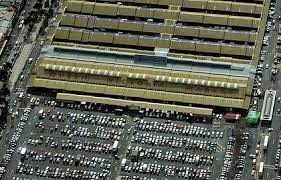 Given traders reliance on vehicles to move stock to and from their stalls it is logical they would seek improved car parking over improved pedestrian access or public transport. The public was asked the same question and just for the record, the top 3 preferences on easier access by the public were improved car parking (24%), improved pedestrian amenity and safety (26%), and improved public transport (21%). Do you know what the fastest growing time slot is for customers to browse and buy? It is 6-9pm and it is taking place in lounge rooms around Australia as time poor families find a quiet moment to shop online. What do traditional retailers do about that? Online sales in Australia between January and March 2015 were up 22% on last year with household goods, electronics and travel high on the agenda. 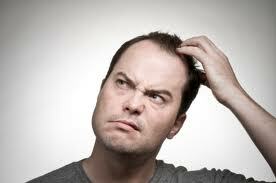 So, with online sales pinching a chunk of our business what is the best strategy for QVM Traders? Do we compete directly online with a multitude of individual trader websites or perhaps an umbrella website for all traders? A small number of traders have individual websites and I am going to guess that a much smaller number are happy with the results. Forget all the hype about how easy it is to set up and maintain a website. Websites take time, particularly if you change product lines regularly, and you want to keep stock levels monitored accurately. And most of the action happens out of hours when you are trying to get a life away from your day job (or in the case of some of our traders, a night and day job). So, should we really be putting a lot of effort into competing online? Another option is to tackle what we do best - provide a bricks and mortar shopping experience like no other. The Draft Master Plan aims to make us a "Market of Markets". It makes a lot of sense to concentrate on the experience of shopping in a traditional environment with real people and real goods. We may need to raise the standard of how we treat our customers (hell, let's be honest, we could do much better - as one trader suggested this week, we could ban mobile gaming at stalls for a start). And there is plenty of QVM infrastructure that could be improved to make shopping more convenient. But if we are looking at enhancing the difference between an online shopping experience and "real shopping" then QVM's intention of creating a "Market of Markets" (let's also call it a shopping and entertainment precinct) starts to make a lot more sense. More events, complimented by a wider range of trading options, simply means a lot more reasons for customers to visit our market, maybe even those who have been lured by online buying. Convenience is an important factor for today's shoppers, and we can improve our own performance in that area, but entertainment and excitement are two equally important elements and that is where a "Market of Markets" can have the edge. Greg Smith - QVMAC Trader Representative. Proposed Investment Allowance Could Help Traders. 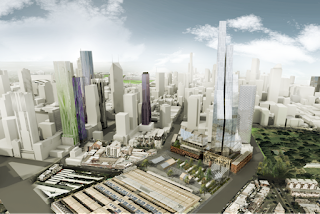 The Council of Small Business of Australia is promoting the concept of an investment allowance and the timing could be just right for some traders at QVM. Governments use investment allowances to stimulate economic activity through an additional tax deduction that is available for the purchase of income- producing assets including plant and equipment. Traders involved in the possible re-vamping of H & I sheds or the opportunity to set up permanent stalls in the top end could be ideal targets for the economic benefits of this type of allowance. 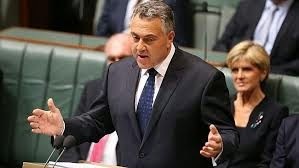 An investment allowance was introduced by the previous Labor Government after the Global Financial Crisis. Essentially it allowed businesses to claim an immediate tax deduction for 50% of the cost of the asset instead of just spreading it over the life of the investment, say 5 years. At the time it was considered a very worthwhile initiative as the government got on the front foot to tackle the impact of the GFC and stimulate business activity. As Australia moves away from its dependence on natural resources the opportunity to stimulate other industry categories would seem to make a lot of sense. Let's hope the Council of Small Business is successful with this one. 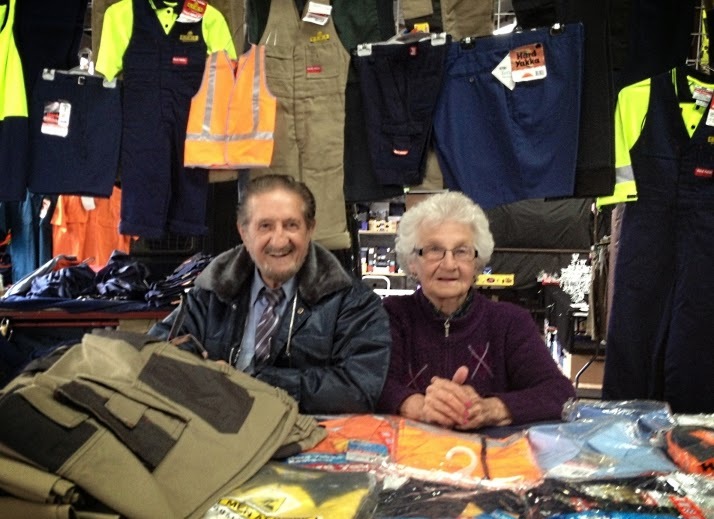 Betty Jennings has been trading at QVM for over 55 years and it time to hand on her industrial clothing business to the next generation of traders. This business operates 5 days at QVM and occupies prime locations on each day. The approved stock category is industrial clothing and this is the dominant business in that category. This stall does a lot of business with trades people so early starts are the order of the day and while Melbourne’s CBD continues to boom with construction projects, the future looks bright. The business would suit a dedicated retailer looking for prime locations at QVM. It may even suit somebody with a completely different product line that meets the requirements of QVM’s leasing team. 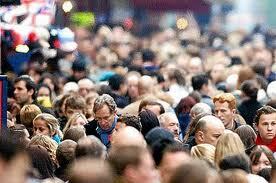 In fact the opportunities are quite open and current traders as well as outside parties are invited to enquire. Tuesday – D Shed 25-26. Thursday – W Shed 27-30 and WA 30. Friday, Saturday, Sunday – L Shed 71-72 and N Shed 8-9.